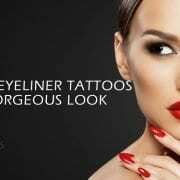 Semi-permanent eyeliner tattoos are fast becoming a high demand beauty treatment, saving thousands of women time and effort every day when they want to look their best. Applying your own eyeliner can be tricky, especially through the bleary haze of the early morning rush. By choosing a semi-permanent shaded eyeliner treatment, you can enjoy looking your best from the moment you open your eyes.